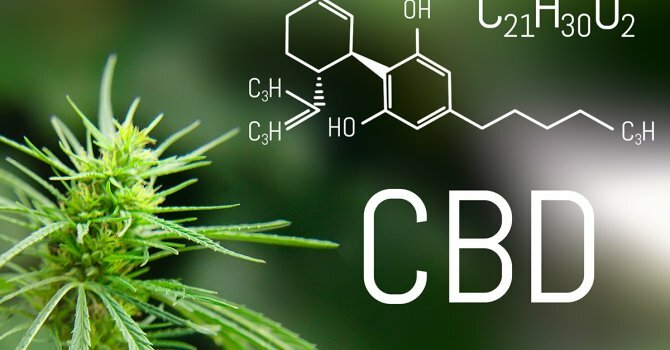 The fact that CBD is therapeutically potent as well as non-intoxicating, and easy to take as a CBD oil, makes it an appealing treatment option for those who are cautious about trying cannabis for the first time. The discovery of the endocannabinoid system has significantly advanced our understanding of health and disease. 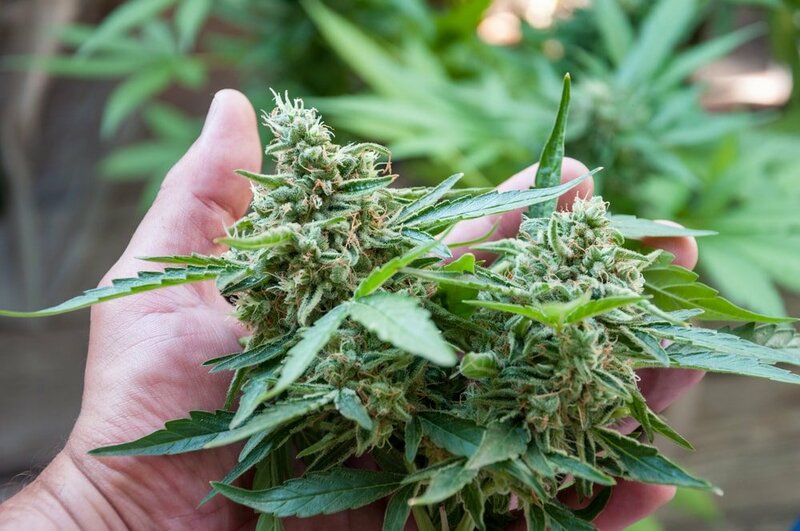 It has major implications for nearly every area of medical science and helps to explain how and why CBD and THC are such versatile compounds – and why cannabis is such a widely consumed mood-altering plant, despite its illegal status. 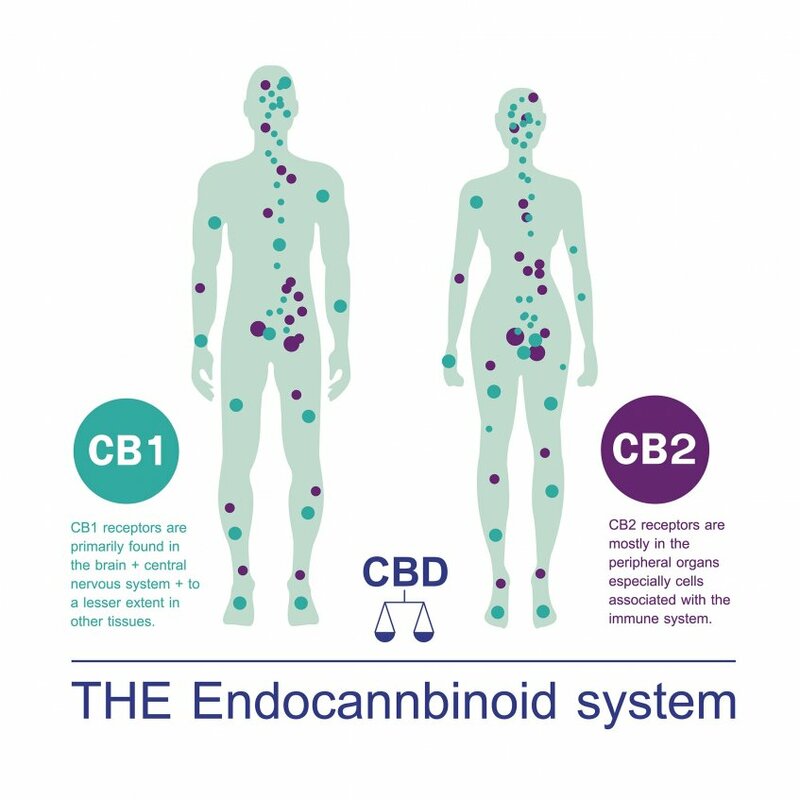 The endocannabinoid system plays a crucial role in regulating a broad range of physiological processes that affect our everyday experience – our mood, our energy level, our intestinal fortitude, immune activity, blood pressure, bone density, glucose metabolism, how we experience pain, stress, hunger, and more. What happens if the endocannabinoid system doesn’t function properly? What are the consequences of a chronically deficient or overactive endocannabinoid system? By modulating the endocannabinoid system and enhancing endocannabinoid tone, CBD and THC can slow – or in some cases stop – disease progression. There’s a lot of excitement about the healing potential of CBD – with good reason. 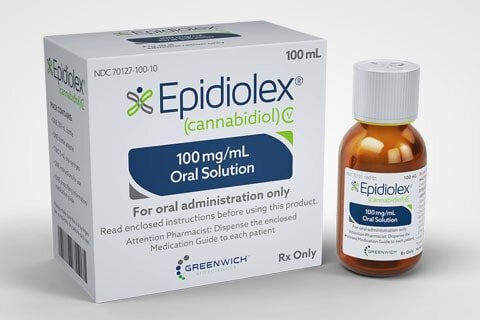 But it wasn’t until June 25, 2018, that the U.S. Food and Drug Administration (FDA) recognized cannabidiol as a real medicine by approving Epidiolex, an almost pure pharmaceutical CBD formulation, as a treatment for two severe pediatric seizure disorders, Lennox-Gastaut syndrome and Dravet syndrome. This was the first time since the peak of the reefer madness era 80 years ago – when “marihuana” became a crime instead of a cure — that the federal government had given an official thumbs-up for a cannabis-derived product. But the DEA kept cannabis and CBD itself on Schedule I as an illegal narcotic. In the world according to Uncle Sam, pharmaceutical CBD is officially the only good cannabinoid while the rest of the plant remains an ‘evil’ weed. For those who can’t obtain pharmaceutical CBD, there are numerous internet storefronts, community markets, coffee shops, health clubs, chiropractic offices, upscale boutiques and gas stations that retail various hemp-derived CBD oil products, including pure CBD isolates comparable in chemical make-up to Epidiolex. CBD oil products and flower with varying levels of THC and CBD are also available for smoking or vaping at cannabis dispensaries in states that have legalized the herb for therapeutic use. In response to massive consumer demand, a huge, unregulated market in CBD oil products reached a critical mass in 2018. A surge of consumer interest in all things CBD was suddenly newsworthy with hosanas of praise coming from athletes, film stars, soccer moms, and parents of desperately ill children. 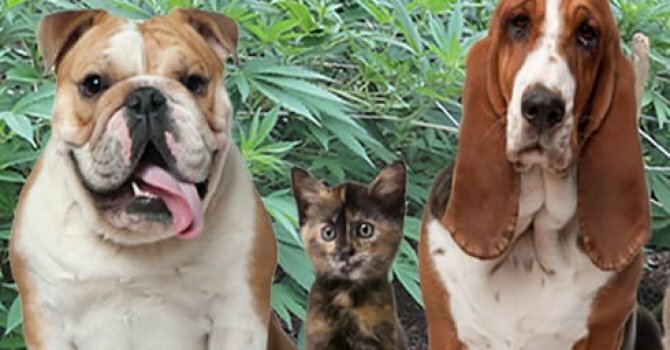 CBD oil has been touted as a curative for the sick and a preventive for the healthy, an all-purpose palliative for pets as well as people of all ages. 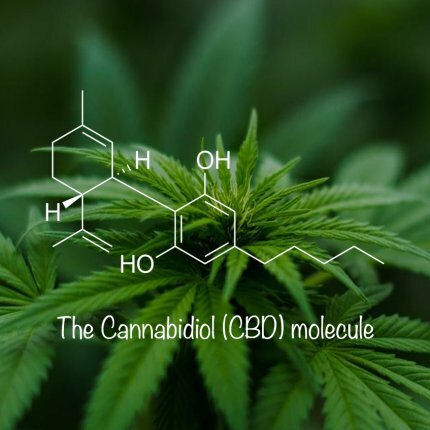 But along with a growing awareness of cannabidiol as a potential health aide, there has also been a proliferation of misconceptions about CBD and cannabis therapeutics. CBD is a molecule, not a miracle. Many people could benefit significantly from legal access to a wide range of cannabis remedies, not just low-THC or no-THC products. CBD alone may not always do the trick. There is compelling evidence that CBD works best in combination with THC and the full spectrum of other cannabis components. 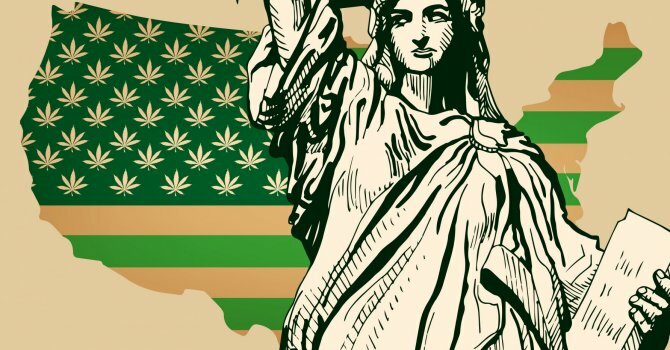 Figuring out how to optimize one’s therapeutic use of cannabis is the driving force behind the great laboratory experiment in democracy known as medical marijuana that’s been unfolding state-by-state and country-by-country in recent years. The advent of potent cannabis oil concentrates, non-intoxicating CBD-rich products, and innovative, smokeless delivery systems has transformed the therapeutic landscape and changed the public conversation about cannabis. It’s no longer a matter of debating whether cannabis has merit as an herbal medication – today the key challenge is discerning how to utilize cannabis for maximum therapeutic benefit. Given its low-risk profile, many people are using CBD as an add-on therapy to their existing treatment plans. But most health professionals know little about CBD or cannabis therapeutics and they lack sufficient expertise to adequately counsel patients regarding dosage, modes of administration, CBD/THC synergies, and any risk factors, including interactions with other drugs. Instead, the onus has been on a loose-knit community of self-reliant patients, supportive families and a few pioneer physicians who’ve learned a lot through trial and error and shared information about how to navigate promising avenues of cannabis therapy. What About CBD from Hemp? What began as a grassroots populist rebellion against cannabis prohibition would morph into a multibillion-dollar market catalyzed by the rediscovery of CBD as a wellness option. CBD oil is red hot and it seems that everyone – do-gooders as well as profiteers – wants a piece of the action. CBD has also catalyzed the rebirth of the U.S. hemp industry, which lay dormant for decades because of drug war politics. The 2018 Farm Bill includes a provision that legalizes the cultivation of hemp (cannabis with less than 0.3 percent THC) in large part because of the popularity and driving economic force of CBD. 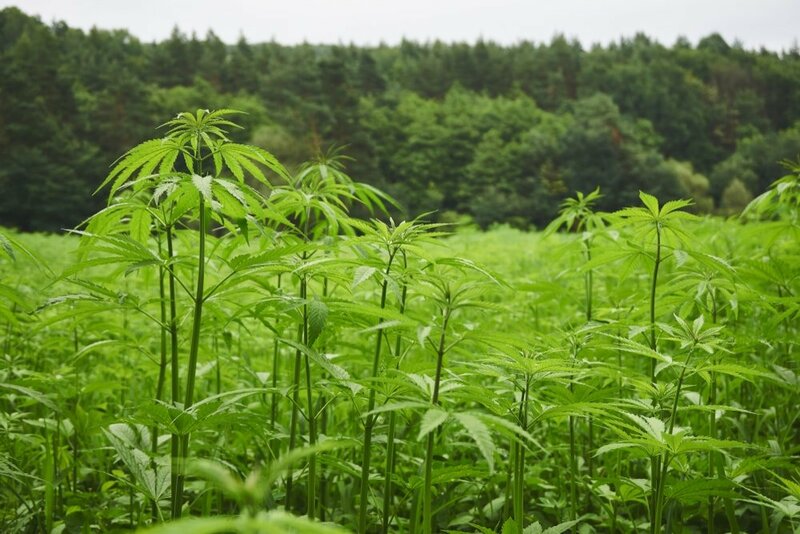 Growing hemp is now a legitimate agricultural enterprise in the United States. But extracting CBD-rich oil from hemp biomass and marketing CBD oil concentrates and isolates for ingestion and inhalation steps on Big Pharma’s toes and is frowned upon by the DEA and the FDA. Legalities aside, hemp-derived cannabidiol is just a mouse click or a phone tap away for anyone willing to roll the dice and purchase CBD oil products that are manufactured with little regulatory oversight. The upside of all this is easy access to CBD oil; the downside is inconsistent quality. Many hemp-derived CBD oil products are mislabeled as to cannabidiol and THC content. And poorly processed CBD oil may be tainted with toxic solvent residues, pesticides, corn syrup, artificial flavors and colors, and other contaminants. 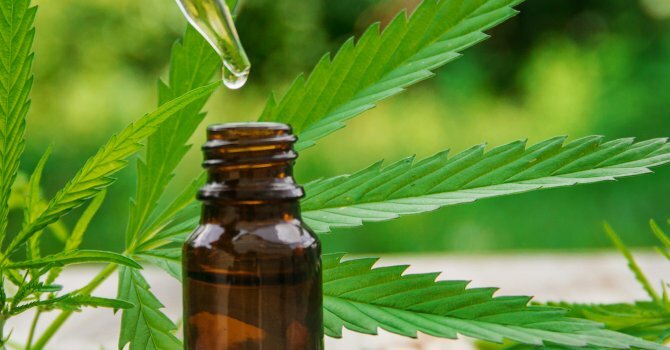 Fortunately, good quality CBD oil products are also available for the conscientious consumer – the label reader, the brand researcher – who understands that cannabis and CBD are best used as part of a healthy lifestyle. CBD, the Entourage Effect & the Microbiome: Dr. Ethan Russo from Cannabis Conversations on Vimeo. CBD Myths & Misconceptions With the growing awareness of CBD as a potential health aid there's also been a proliferation of misconceptions. Find questions and responses to common misinformation.